The Freedom From Religion Foundation is encouraging the Wisconsin Department of Justice to scuttle a just-announced chaplaincy program. 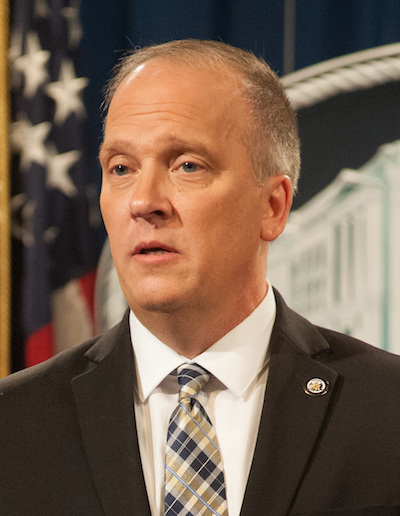 Wisconsin Attorney General Brad Schimel has today unveiled a program consisting of six chaplains who will receive tax-paid training to deal with the physical and mental well-being of Wisconsin police officers. Schimel earlier this year had announced his intention to address the distressing fact that state police officers are more likely to die of suicide than death in the line of duty. FFRF has written Schimel asking him to instead hire qualified secular counselors equipped to handle the serious needs of officers and community members without entangling the state with a religious message. Wisconsin recently started a “law enforcement chaplains certification program.” The state/church watchdog is also making an open record request to find out details of these initiatives. Adding insult to the constitutional injury is the fact that the DOJ chaplaincy shows what FFRF calls “a shocking lack of diversity” — all six of the DOJ chaplains are white, male, Christian ministers. The Freedom From Religion Foundation has investigated and objected to police chaplaincies around the country, including several instances in various parts of Wisconsin. Under the guise of providing secular support services, police chaplains often use their governmental position to push their religion. They are usually dressed in ministerial garb, use bibles and spout scripture. It is inappropriate and unconstitutional for the government to insert a religious minister into situations where grieving, seriously injured or mentally ill officers and community members need help. It is wrong constitutionally and morally to take advantage of governmental employees’ most vulnerable moments to promote the majority religion. Christian ministers are not equipped to meet the needs of nonbelievers or believers of minority faiths, FFRF further notes. A nonbelieving employee will not be comfortable dealing with a person chosen because they are a Christian minister. Common religious platitudes such as “she is in a better place” are meaningless and even hurtful to grieving nonbelievers. FFRF also points out that just because someone is ordained doesn’t mean he necessarily has a degree or counseling certification, or that, if seminary trained, has taken legitimate counseling, social work or psychology classes. The DOJ website listing the chaplains’ biographies shows that one chaplain’s cited academic credential is a master’s in “bible studies.” Academic information is lacking in two of the other bios. The Freedom From Religion Foundation is a Wisconsin-based national nonprofit organization with over 32,000 members across the country, including more than 1,400 members in Wisconsin. FFRF’s purposes are to protect the constitutional principle of separation between state and church, and to educate the public on matters relating to nontheism.